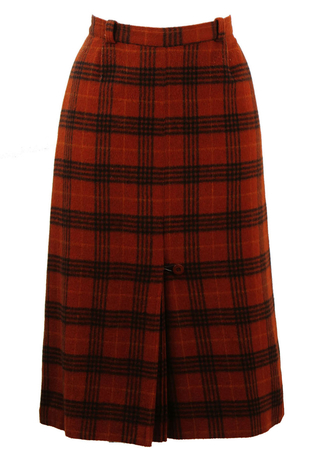 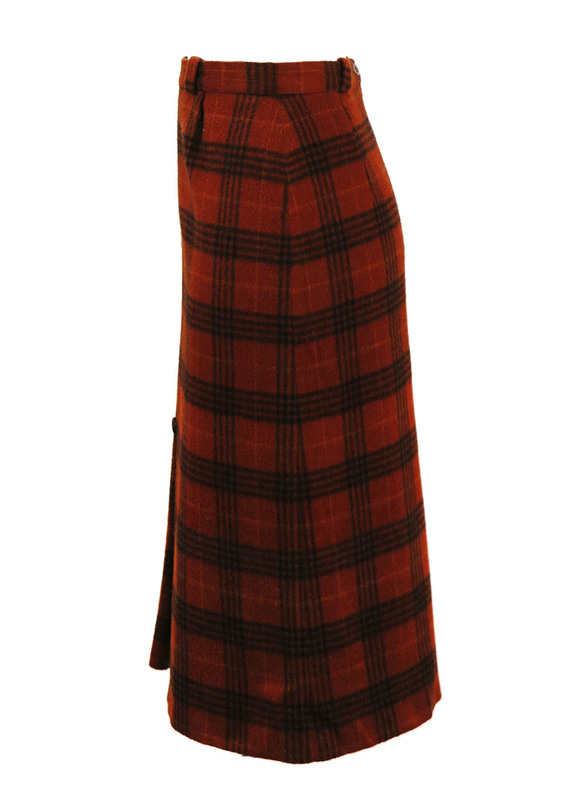 Russet coloured midi length skirt with a black and camel check pattern and lovely front pleat detail. 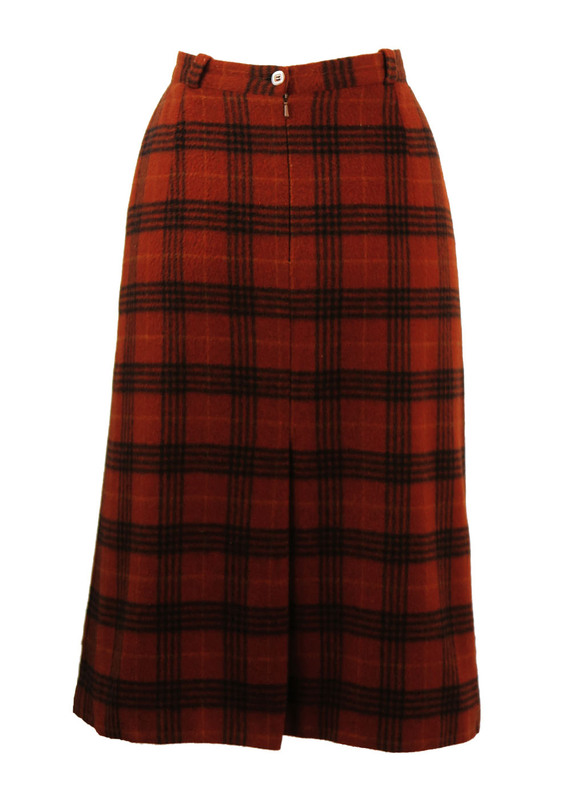 Although the fabric label is missing the skirt has a thick woollen feel to it. The skirt is also lined, however it has come away at the seam in parts and this has been reflected in the price from £30-£25. 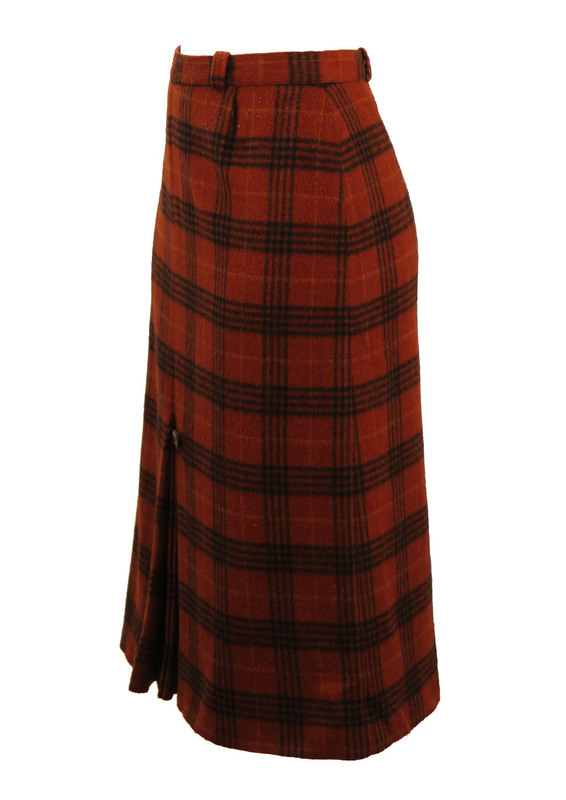 The garment is otherwise in excellent condition.